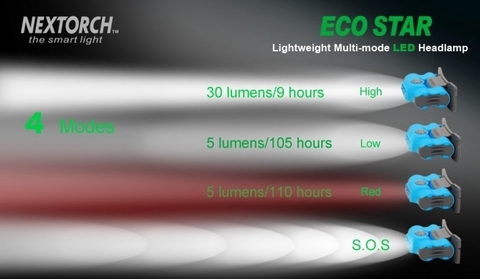 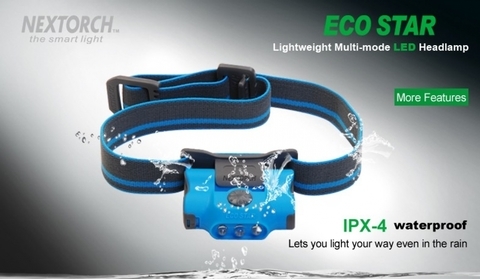 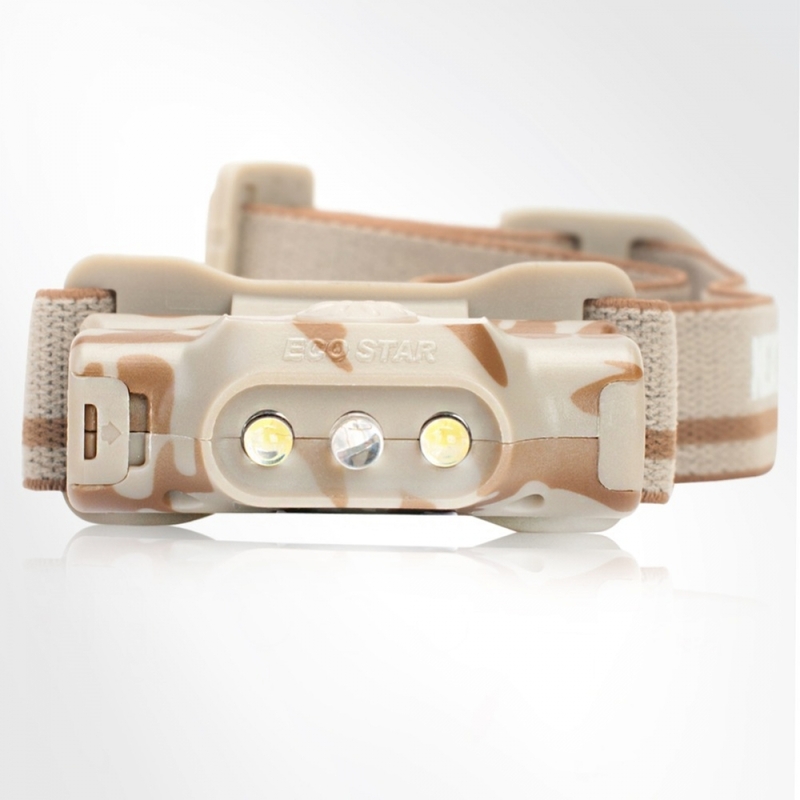 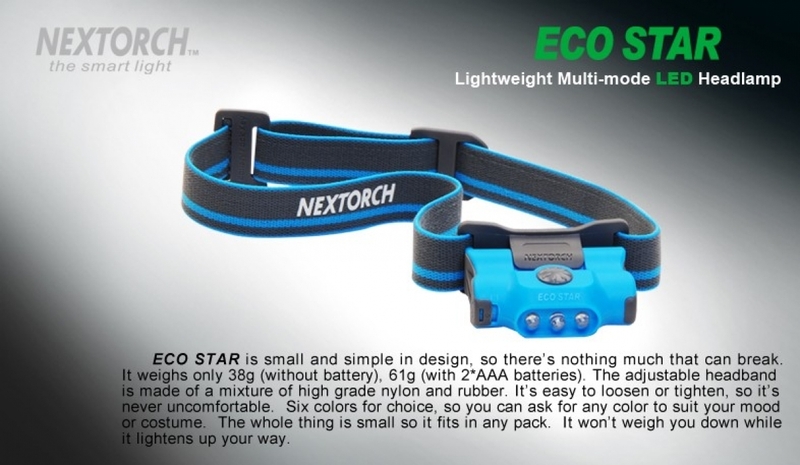 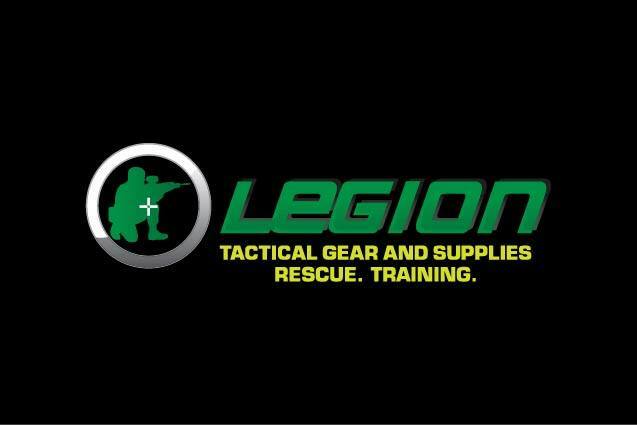 The Nextorch™ Eco Star is a lightweight multi-mode LED head torch weighing only 38 grams without the batteries. 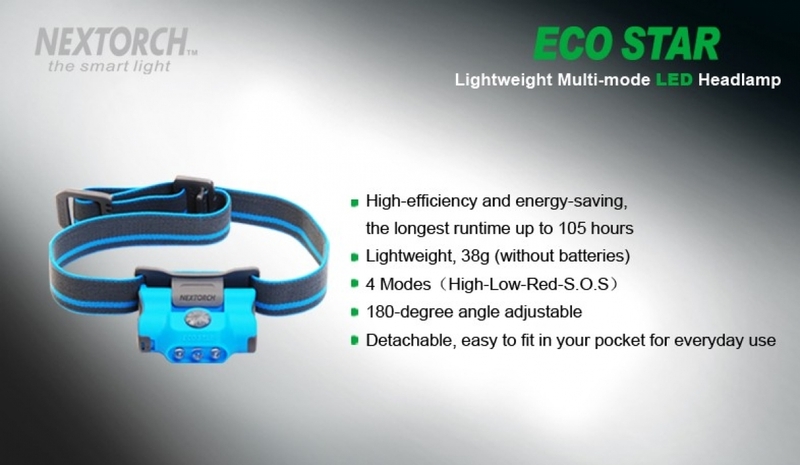 Comfortable to wear, the Eco Star is powered by two AAA batteries, which are included. It meets a wide variety of lighting requirements with 3 practical modes; high and low modes using two white LEDs and one red LED mode for preserving night vision . A SOS mode is also available that is accessed by pressing and holding the power button for 5 seconds. 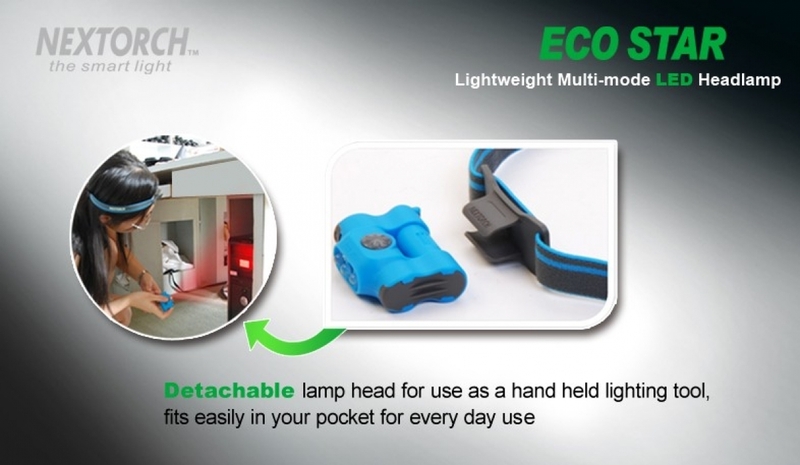 The Eco Star will satisfy your outdoor lighting demands for activities such as hiking, camping and fishing, but it is also gentle enough for reading in the dark and general maintenance duties.